Vintage Lady with Tousled Hair Portrait Image! Today I’m sharing this Vintage Lady with Tousled Hair Portrait Image! 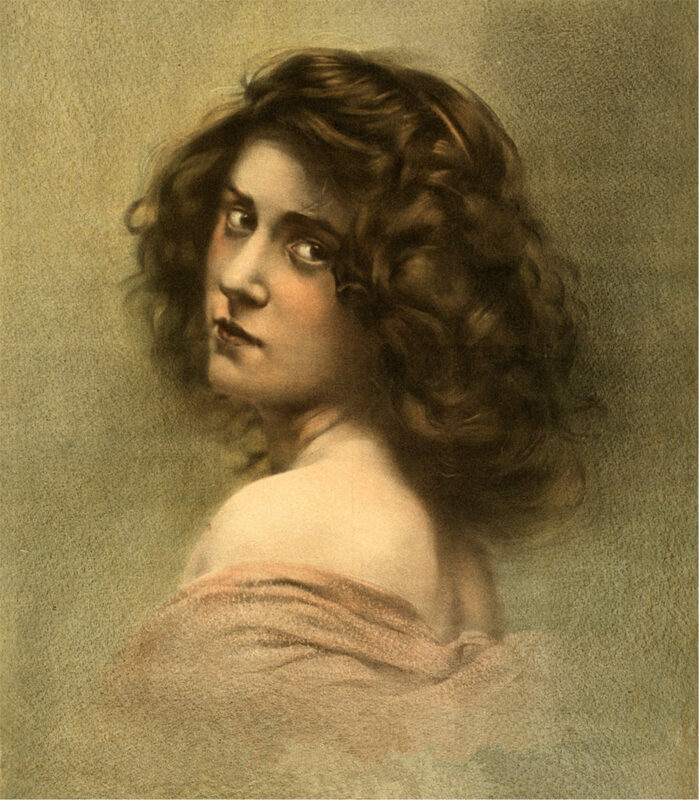 A lovely woman with tousled dark curls looks over her bare shoulder in this pale pastel portrait. Her large dark eyes are penetrating. She is wearing a light peach off shoulder drape. I could see this as a focal point of a mixed media collage or other Craft Projects! Wow, this lady is gorgeous! Stunning photo!